Safe to use as a topical treatment for small wounds – not to be used as a long-term daily supplement or treatment. Juniper berry oil is safe for use as a topical antiseptic treatment for minor cuts to prevent and treat bacterial infections. 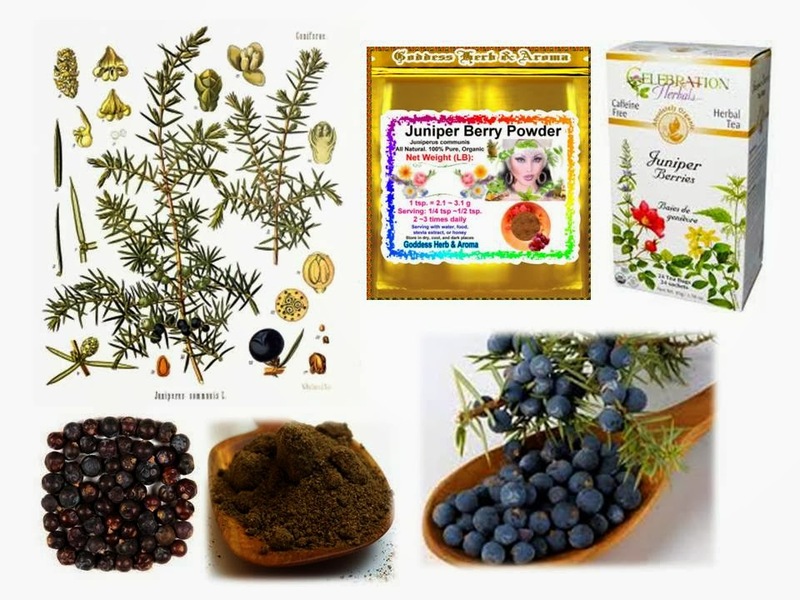 Whole juniper berries can be ground with a mortar and pestle into a powder or you can purchase it in oil or supplement form. Juniper berries are harvested from the coniferous juniper which grows as a bush or medium height tree – a member of the pine family. 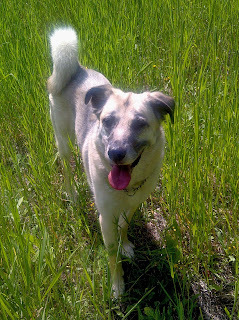 My German shepherd x Siberian Husky ‘Sarah’ likes juniper berries so much that she picks them herself – I keep an eye on her to ensure she does not consume too many! Juniper berries contain volatile oils that are antibacterial, antiviral, anti-inflammatory, and carminative. Juniper berry is a blood purifier that eliminates impurities from the blood via the urinary tract. Large dogs should have no more than 1/3 cup a day. Only use until the issues clears and do not use for more than 4 weeks at a time. Only for temporary use to clear-up a condition, not to be used on a long-term basis – do not use for more than 4 weeks at a time then stop usage for a minimum of a week before using juniper berries again. Long-term use can cause kidney problems, seizures and other health issues. Do not use for pregnant or lactating females. If your dog has environmental allergies, he/she may have an allergic reaction to juniper – if a reaction occurs, cease use. When used topically can in some cases cause burning, irritation, redness and swelling. Taking large doses over time can cause damage to the kidneys and convulsions. Moderate interaction – anti-diabetes drugs.